Note: My wife Tia was active full time for a couple years, but has built up her Midwifery business since then, so she cannot afford to get her hands cut-up on sheet metal in that line of work. We still do bids together from time to time, so this company history is mainly my personal history. It reads back as far as you may care to read. There is also a little history of the accomplishments of my Father and Grandfather, since they largely influenced my work and ethics. For more details, look for links within this text. January: I re-strung and replace more LED rope lighting in the workshop. December: I replace half of the LED rope lighting in the workshop. November: Chris had their second baby. It's another boy they named Joseph. Chris then needed about a month off. July: I gave a guy named Micah a chance to join my team, but he only lasted about 3 weeks; before he decided he couldn't cut it. March: I bought a new full frame Nikon D850 camera with a 24-120mm zoom lens, and it takes noticably better images. January: I replace my 4' wide pan & box brake bender, even though that bender was still working fine. This new bender is much more versitle; given how it has removable and adjustable teeth below the bending bar as well as above, which allows us to do more complex projects we could not do before. This also has a foot lever to close and lock the teeth together, which leaves our hands free to hold the metal in place. This is a brilliantly designed tool sold by Grizzly Industrial. 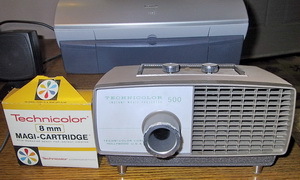 JET also sells the same machine in a light gray color, but costs a few more Ben Franklins just for the namesake as a distributor. July: It was necessary to let Ben go for lack of professionalism and trust issues. April: I got a new custom PC build with the latest AMD Ryzen chip, faster RAM, a second RAID 1 drive w/6T each. February: We cleaned up and re-carpeted the workshop, which will make for better photo back drops now. Also got a large red Millwaukie brand rolling cap tool box to better store our hand tools. January: Winter months usually tend to dry up sales, but for the first time in my career I am actually booked out over a year with gutter jobs and also have quite a few custom copper projects lined up. 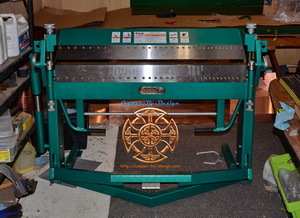 December: We had the wettest Winter weather I have ever seen, which has made it very difficult to get my gutter projects going, but I had been able to better catch up on some in shop custom copper projects. November: I had to let Chris's Stepfather go for lack of professionalism and trust issues. I then allowed Chris to let his friend Ben come back after a 5 year sabaticle, in order to assist him in the shop. June: I had allowed Chris to let his Stepfather come in to assist him in the shop, even though he is very old and hard of hearing. February: My Brother Damion had suffered boughts of vertigo several times, so he finally decided he needed to find some other job that would not get him stuck up on a 2 story roof with no way to get down, and is now working in the parts department of Wilsonville Mercedes. December: We got to go back to Disneyland for a second time to get to see the new Cars attraction in the California Experience. We also got a chance to stop in at San Diego Zoo for a day. It was really neat, but my feet suffered greatly. For all the millions they rake in each month I think they should invest in some padded walkways to their long lines for rides. By the 5 day I was practically screaming in agony. Kind of takes the fun out of it and reluctant to ever return. They also need to retire a few of the older rides. Especially the gocarts. October: My Brother Damion and I attended MetalCon for the first time hosted in Denver, Colorado by the company New Tech Machinery, which had made my gutter machine. We were able to crash at our Sisters place just outside Denver, so that saved us a pile of cash. 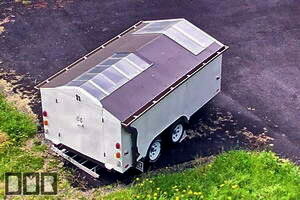 When I got back I built a 16' X 30' awning in back covered with twin wall polycarbonate bronze tinted plastic. 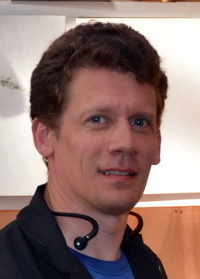 May: Chris and Wheeler had their baby. It's boy they named Jacob. April: I got a pair of heavy-duty fiberglass step/extension ladders made by Louisville. December: We finally got a chance to fly across the Country into the deep South to Disney World, Epcot Center, and Universal Studios to see the Harry Potter theme park. It was really neat, but my feet suffered greatly. For all the millions they rake in each month I think they could invest in some padded walkways to their long lines for each of the most popular rides. I will say I am not a fan of toll roads and the thick crab grass that grows there. October: I got a large order of 20oz copper sheet metal in 12" and 48" wide totaling almost 7,000# in order to get a better price, so it is less expensive than the thinner 16oz copper that can be acquired locally. Chris got a girlfriend named Wheeler, who also got pregnant within that first month together, so his life changed quite dramatically. September: This was the first time I had ever been East of the Rockies in my life. My client Mark Church was a great sport and I could not have hoped for better, but this is not something I plan to promote as a service I provide. Mark decided to put us up in a hotel near by, so we could do the install ourselves, since it we had our tools and ladders with us, and it was better than trying to teach an old dog new tricks. Although, this had unexpectedly threw off our whole schedule a good 3 weeks after having to be there for 2 weeks installing these copper gutters and fascia metal ourselves. August I had a client in Ohio who was so impressed with the copper roof flashing we made for his reroofing project, so he had dug deeper in my Copper-By-Design web site to DMR-Gutters web site and read over my quality standards for my gutter work, and could not get any Gutter Contractors in his area to do what I do at any price. Even though these are details I do without being asked. He then contracted with me to make him all new copper gutters as well for a local contractor to install, since I am not licensed to work outside Oregon. Once we were ready to ship them in late August I found out from my agent that was not practical to ship a 35' long crate, so I wound up having to deliver them personally for the same $4k I had quoted him. With my Brother Damion spelling me we pretty much drove that 2,500 mile trip non-stop. Once we got to Illinios I hated the toll roads they have back East, which cost more to dive them than the fuel used, making them about 5X the cost per mile compared to the taxes we pay each time will fill up. I was glad to return and not have to pump my own gas as well. My main concern was the weight of all this might rip off the factory roof rack this larger rack is attached onto, since this was over twice the rated weight limit on my rig roof top, but it seemed to fair quite well, even with sudden stops and wind gusts. this was quite a testimate to the durability of a 2005 Acura MDX. The trip there and back cost $2k in fuel alone. July: My Brother Damion joined my team. April: I got a motorized pipe bender set up through Harbor Freight and Swag Offroad. 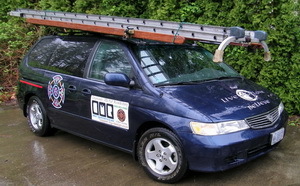 March: I bought a new 36' extension ladder made in Canada by Feather-lite. It was designed with rectangular extruded tubing, instead of an I-beam construction. October: I finally got a semi-professional digital camera; a Nikon D7000 with a 18mm - 200mm lens, so I can take better photos of our custom copper work. September: I sold my van to my Apprentice Chris. August: I designed and built my first metal roof rack that is a full 6' wide. It allowed for the hood and rear hatch door to open fully. The rails are made with aluminum and stainless steel pipe. I have 1/2" SS bolts locking this to the factory roof rack. July: I was able to upgrade my rig to a used 2005 Acura MDX that was like new condition. What a sweet ride! My one complaint is the on-board navigation that is horribly outdated, and is not practical to have updated. This is more of a ladies SUV, so the first change I made was this aggressive looking SS bar on the front to butch this up. December: We had to let Ben go due to lack of professionalism. October: I had allowed Chris to let his friend Ben come in to assist us. Ever since I was 5 years old I finally got to go back to Disneyland with my Wife and Son. We also got a chance to stop in at Sea World for a day. It was really neat, but my feet suffered greatly. For all the millions they rake in each month I think they should invest in some padded walkways to their long lines for rides. By the 5 day I was practically screaming in agony. Kind of takes the fun out of it and reluctant to ever return. May: I was commissioned to build the most ambitious chimney cap projects to date. It was a light house shaped chimney cap for a client in Senaca Falls New York. This design required over 300 ln' of copper pipe to build the railing and had 24 sets of LED lighting implemented. This took me a month to build this and crate it up. March: I sold the largest aluminum gutter project of my carrier. We fixed the side door handle on my work van. February: I made a larger ladder rack for my work van and got new larger door logo signs. We also fixed up the trailer light system. December: We've finally got the work shop sealed up and the roof insulated. I may not have any side windows, but it has about 275 sq' of skylight. We just need to figure out a good lasting way to seal them. Fighting a few small leaks. September: We have most of the new shop built, but I cannot afford to finish the other set of skylights, so we have to keep the roof covered with tarps for now. August: I had to get back to my work schedule, but the shop is not complete and it is still hard to find a lot of stuff. We also had to rebuild the flat roof of the wood shop, as the roof was leaking. We built it up to have a 4/12 pitch roof. July: We got moved in, but I had to take even more time off to build a new workshop in the back yard. 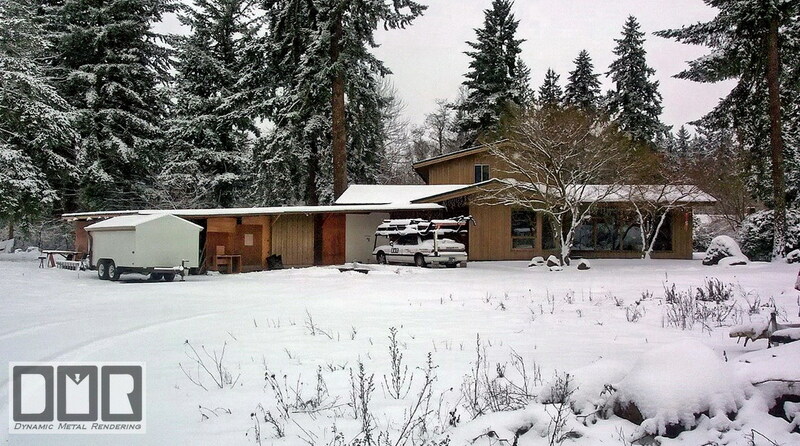 June: We moved back over to the West side in Portland, Oregon, so Tia can be closer in to the Hospitals and Birthing Centers for her apprenticeship with The Andaluz Waterbirth Center. Our new mailing address will be listed in our e-mail correspondence. I had to spend the last 2 weeks dismantling my workshop and packing it over to the new place. February: I got called for jury duty, but did not have to go in as a matter of my number was not listed each day I checked the recording. January: We had so much snow and rain the first week that my shop flooded with a couple inches of standing water making the carpets and padding float up off the floor. It took me a month to dry out the carpets and get them back in place. I have not sold much work in the last few months, so money has been tight, but the suppliers have remained rigid with their prices, so I cannot afford to drop my prices. I believe I am still the best value by far for what I put into each job. September: I met the nicest clients named Michael & Meri Lenio who not only offered their hospitality while I worked, but also tipped me over $100. That was a first. May: Angie's List sent out a photographer to our place to get shot to use in their article. April: I got a questionnaire from Angies' List about how this recession has been affecting our business with doubling fuel costs and parts. It seems I was one of the only businessman to report I am doing better than ever, so I was contacted by their reporter to submit to an interview for their monthly magazine. November: I had just started training with the Estacada volunteer firefighters, but had to quit from a back injury wrestling with my 32' ladder on the Stevenson's gutter project. I had never even heard about sciatica before, but now hear it is a very common form of back injury, or pinched nerve damage. It has set me back a few weeks in my work with not being able to stand without serious pain. I thought of myself as a very physically fit man for my age and felt the calling to join the local fire department, but I will be able to continue. August: Tia completed her Doula certification and started an intensive 3 year program for her Midwifery certification. July: We got moved in and I had to spend a month getting the new shop cleaned up and fixed up; with insulation in the ceiling covered with paneling, new lights, sheetrock on the walls, and such. I now have 10' high ceiling, which is a good 3' higher than the carport I had been working in. There is over twice as much space with more storage space in the attic over it. June: We finally found a workable place out in Eagle Creek, just 5 miles North of Estacada. It was clear across town and I put over 1,000 miles on my packed van pulling trailer loads of our stuff to the newer place with a larger shop space out in the country. It is a horses ranch with cows We were given a fenced off field for our 2 pygmy goats, space for a runner for our Husky dog. It is also across from a small air strip and a golf course (even though I will never have the leisure time to play). The address is listed on our Contact web page. February: It looks like we will have to move yet again soon, as the Landlords are selling the property to a developer who will be tearing down this house and packing in new houses on this 2 acres site. I got a set of tattoos for the work van. August: I finally got around to converting over the van for use as the work truck. I made a small Ipe hardwood rack w/stainless steel hardware to support loads over the wind shield and engine hood. Now looking to sell the old work car. April: I got a huge contract to build 28 chimney caps for an apartment complex in Sunnyvale California, but I found I was working myself into carpel tunnel working all the hand tools; Tin ships and setting a good 500 rivets per unit every 2 days time. I finally looked into getting a pneumatic rivet setter. I wish I had done this sooner. It really has sped up my work. We have still been selling gutter jobs. I had a serious scare in my 18 year old work car: the front driver's brake line blew out as I was coming into Down Town Portland on the freeway pulling a trailer with $2k worth of copper in it, slowing down suddenly for a traffic jam. I quickly swerved into the center emergency lane between 4 cars and the concrete barrier before getting the car under control with the parking brake handle. I limped it home with vice grip pliers clamped on the brake line and the other side front brake line blew just as I was getting off the freeway. After dropping off the trailer I drove the van out to the dealership that night to get a set of new brake lines and came home with a gold 2000 Acura TL with only 37k miles on it. The wife changed my plans to convert it to the next work car. She wanted the newer Acura and is giving me the Honda van to use instead. March: We got a new $650 Bosch 10 gauge metal sheer to cut stainless steel screens for chimney cap fabrication. We had sold the largest copper gutter job of our career for a mansion in West Linn, but we had a lot of communication difficulties with the client. This has only happened one time before, but we decided to returned their 1/3 deposit of $8k to cancelled that contract, which helped open up room in our schedule for custom copper work. He was furious with us to say the least and threatened to sue us for over $40k, but that only showed us how it would have gone bad one way or another. 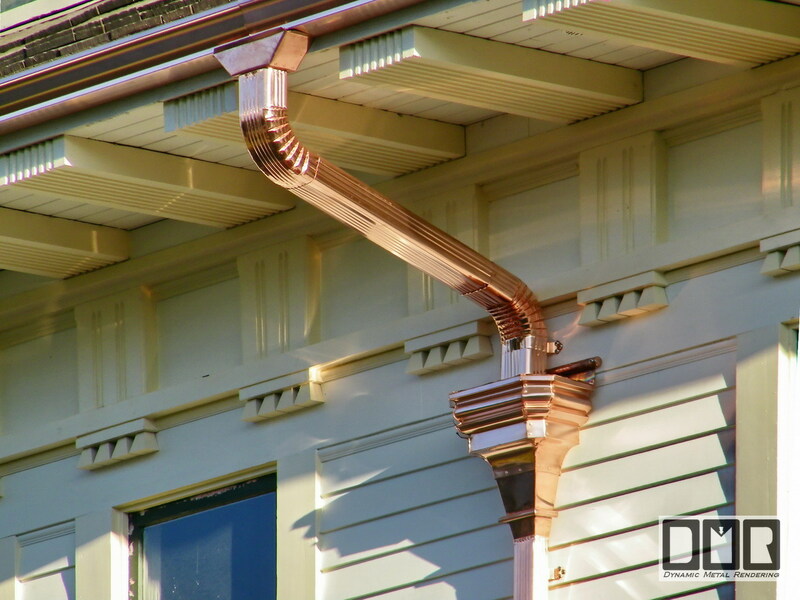 January: We have been getting so many orders for custom copper work that we are considering selling the gutter business or only doing gutter parts deliveries after we finish out current contracts for installations. 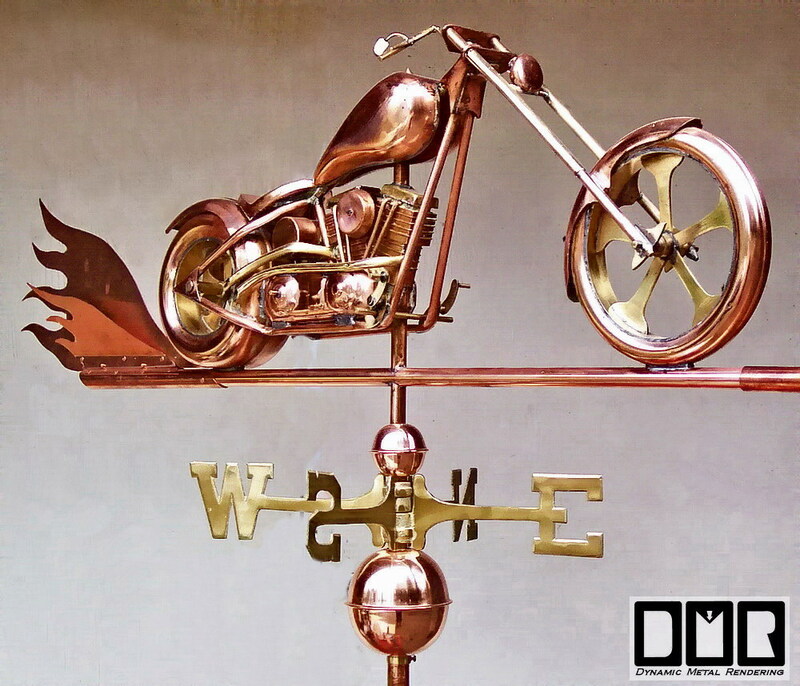 August: I bought a 34" long copper chopper weathervane from Good Directions for myself because it was so cool looking, but not sure where I will mount it. I added the copper flames behind the back wheel. May: We got a set of rain cups for our house and a large copper Sun face from Good Directions with a clients order for a Merlin finial. March: We signed a deal to be a retailer of weathervanes, finials, and rain cups for Good Directions. January: We rang in the new year with friends. The political future seems more bleak and scary than ever, with our government having been taken over by criminals. If nothing else; if they had cheated their way into office by doctoring the election results in the previous election that clearly makes them criminals. So it is just a matter of trying to hang on and pray we survive the next 4 years. We wish you all well. Blessed be. July: Because of overwhelming spam problems to http://dmrgutters.com we had registered clear back in 1996, and our web host lunarpages.com failing to properly combat that issue, we decided to get a new domain name for our custom copper sheet metal fabrication business: http://copper-by-design.com, so we were then able to use quote@copper-by-design.com for our e-mail links instead of bid@dmrgutters.com. The custom copper work has grown to be over half of our work now anyways. I have spent several hundred hours this year updating these web site pages and adding thousands of digital photos to better communicate what we can do and how we do it. We now have dozens of web pages showing step-by-step custom copper design and fabrication we have done recently. 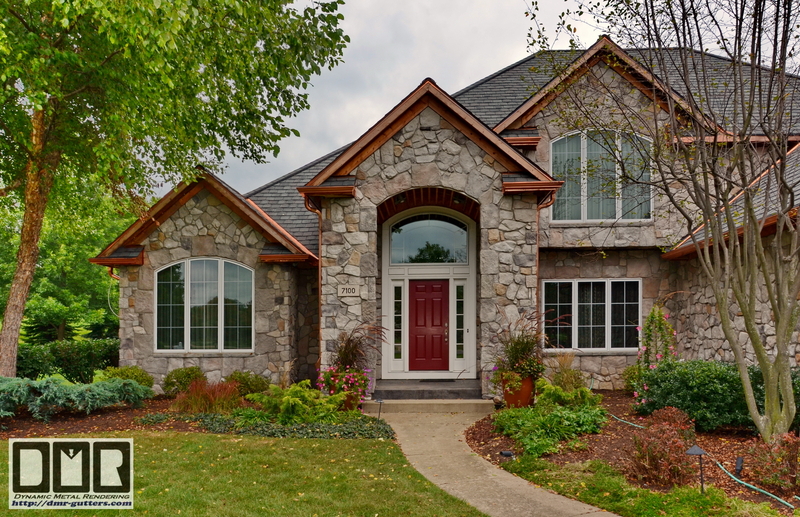 In the early fall, we managed to sell plenty of gutter jobs, booking us out nearly 4 months, but the amazing part was that about half of them were for copper gutter jobs. Four in all, but that was over 2/3 of the revenue we brought in. I managed to take over 350 digital photos of the copper gutter job for the Kistlers out in Forest Grove Oregon. I was working there an entire month to install their copper gutters. January: After a horrible snow storm like we had not seen around here before, where the snow had melted on top and froze over night to the point that children can walk on top of the snow without leaving a print in the snow. We decided to improve our standards to switch over to stainless steel screws and use 2 screws per hidden hanger, since the pressure of this snow that slide off metal roofs had broken a heft percentage of the screws we had used. We only had 2 houses that reported this sort of damage, but that was enough for us to change our standards for all jobs, even those without metal roofs. We decided to warranty our work, even though it was from excessive natural causes. You can read more about it on our web page: Snow Related Damage. December: Without raising our prices, we changed over to thicker downspouts for dent resistance, even though they cost us twice as much. We also found a good supply for stainless steel screws to use for gutter and downspout installation. September 1: After exactly 2 years we moved again to a better house w/a larger yard at 18675 Pilkington Rd. 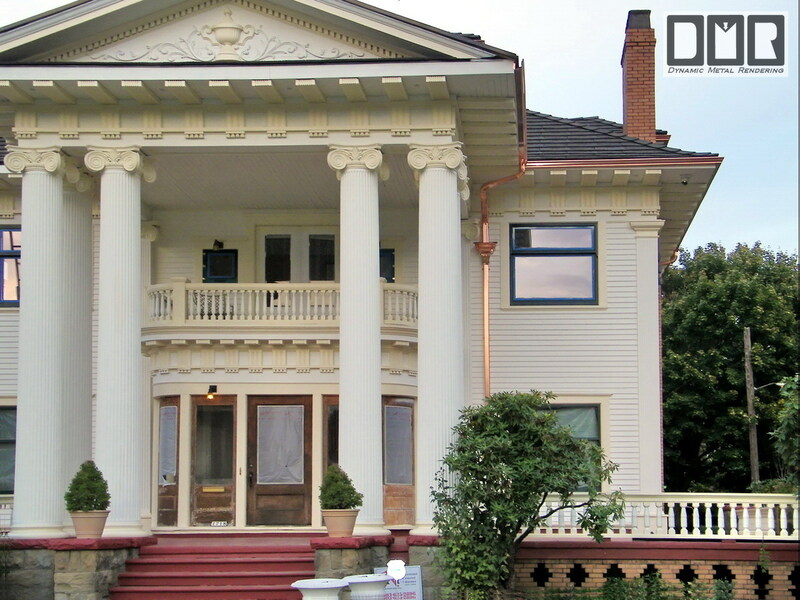 in West Lake Oswego, Oregon for a substantial improved location for Tia business. We now have more privacy with much better merchant and freeway access. It is also the first place we have lived in to have good cellular phone reception, so we were able to do away with our land lines once and for all! Our old phone number: 503 256-7575 now rings to my mobile phone. 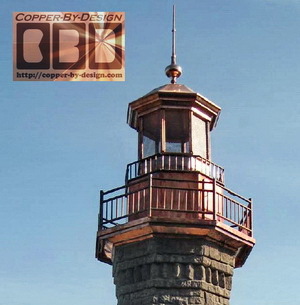 April: We began to fill orders for custom copper sheet metal roof caps for clients all over the country. So we gradually built up those web pages to better service those clients. Febuary: We were with pair.com as our web hosting for a good 5 years, but switched over to lunarpages.com for better rates and more bandwidth, but our e-mail was a nightmare with the tens of thousands of spam and viruses we were getting each day through dmrgutters.com and mind-temple.com. Several hundred would still got through our 4 stage e-mail spam filtering. It was taking us several hours each day to scan through this mess. 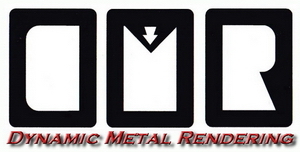 While sticking with the same company initials, logo, contractor's license number, and phone number that we had since 1993, we decided to make a name change from Dramatic Mobile Reproductions over to our current dba: Dynamic Metal Rendering, in order to better fit our custom sheet metal work specialty. 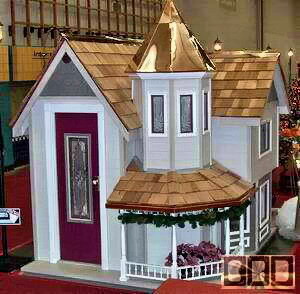 We were involved in the project of building this Victorian-style playhouse for the fundraiser for Providence Medical Center's Festival of Trees for 2002. We decided to volunteered as the chair for the construction of the next years playhouse/garden shed along with a decorated X-mas tree and special gift certificates, but we did not get the donations needed to get this project off the ground. But more importantly, we found out that we had to move, so all our free time to do a project like this just got wiped out. Touch the house here to see more details. September 1: We moved into a newer house at 1640 Carriage Way, in West Linn Oregon. 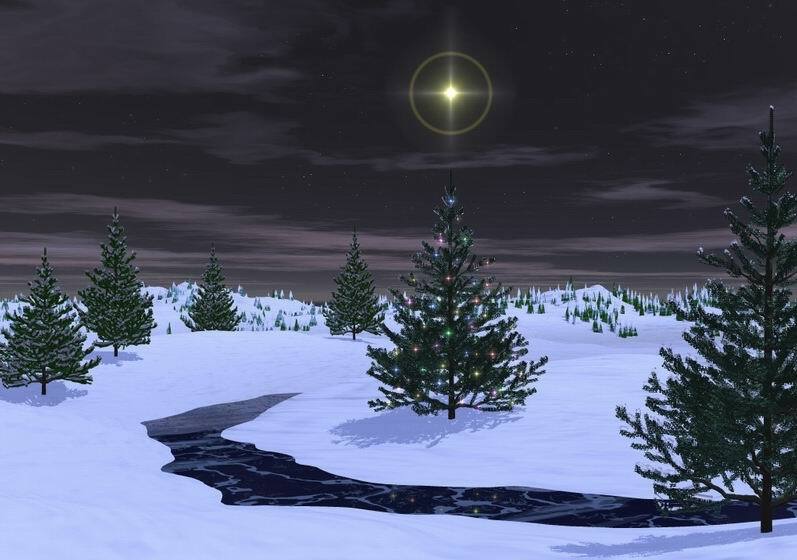 It was a better area for the kids and a better location for Tia's spiritual healing business (magickal-healing-arts.org) that she had slowly built up into full time work by earning one of the top reputations in her field in the N. W. USA. She still enjoys working with me on gutter projects when she can get away, but she cannot afford to get her hands all sliced up on the sheet metal we have to work with. We stopped advertising in the phone book due to this web site bringing us more and better clients these days. May: I transferred the gutter machine over to a better trailer and built a 7' x 12' x 5' tall shell for the gutter machine, to continue to shield it from the weather. 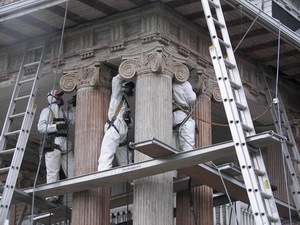 You can see it's step-by-step construction on our Gutter Machine web pages. November: Tia wanting to remain involved as much as possible, but due to the new baby, this was going to be a huge problem. So, as opposed to doing all the gutter prep work at the clients house, we began driving out to take the old gutter down first and get exact measurements. Then doing most of the gutter prep work in our work shop. The clients have not minded, since this mean a lot less mess and noise at home. October 31: We had a baby boy we named Torrin Alex Zander Evan Rich. Yes, he came 5 weeks early to be born right on Halloween. My second Holiday child. 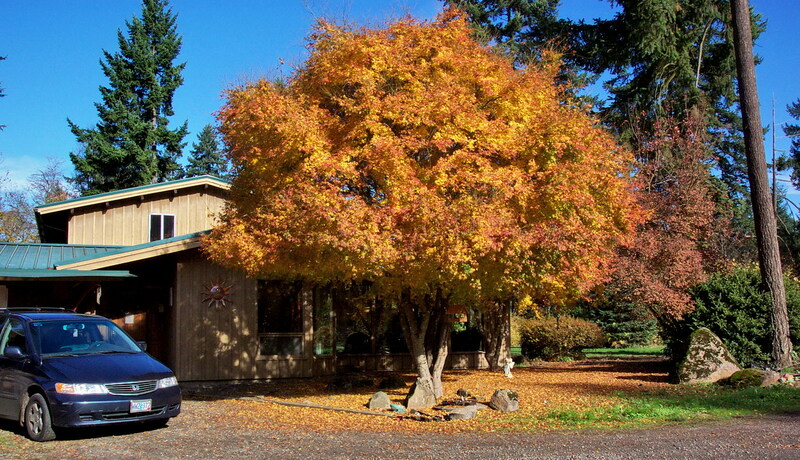 July: We moved over to a very beautiful old house and property in Clackamas, right on the Clackamas River with more privacy and a much better workshop. September 11: We officially tied the knot at a Renaissance Fair called Shrewsbury just west of Corvallis Oregon (see our wedding pages at: mind-temple.com/wd/). 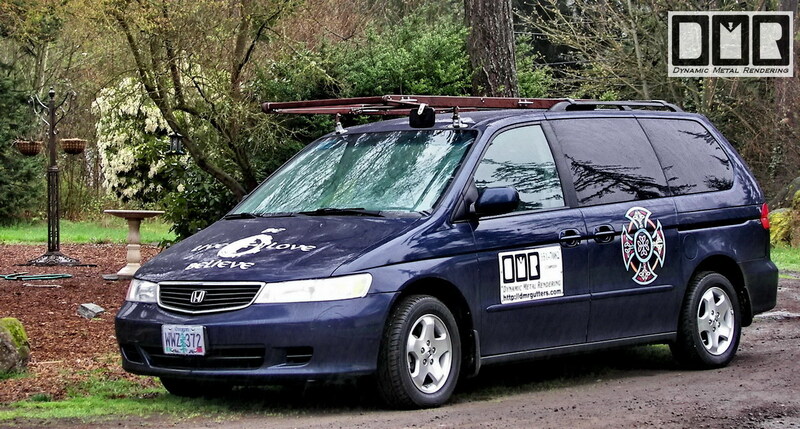 June: We replace Tia's 96 Geo Metro with a new 99 Honda Odyssey van and got it set up to pull our trailers. March: Tia decided she wanted to set aside her Nursing career to joined me in my business (see our Biography page for details). DMR was again awarded this same honor from the Better Business Bureau for the following year 1998. We were presented a glass trophy shown below (click on the award for more details). January 1: We moved with her two children, from the S. E. Portland - Mall 205 area, over to the N. W. Portland area (just North of Beaverton). 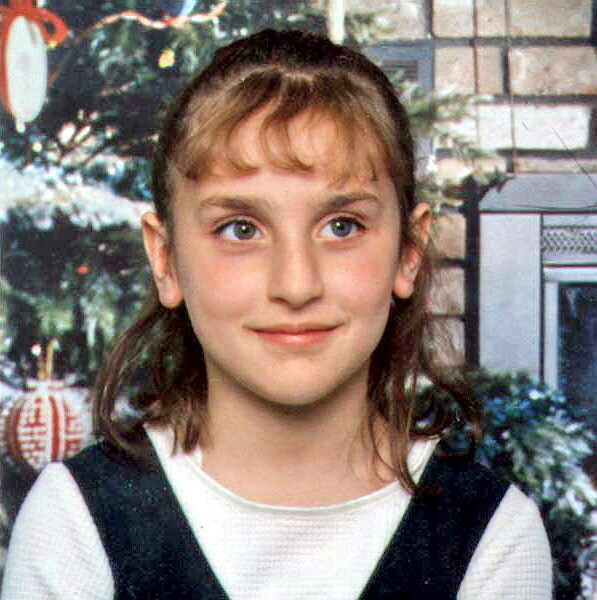 December 8: Tia moved up here from Corvallis Oregon with her 2 children: Trace 13 and his Sister Micaela 8 years old. October 1: Tia and I met on-line and swiftly acknowledged a soulmate connection. We hand-fasted and exchanged gold rings only 2 weeks after our first e-mail, after having passed hundreds of e-mail, one short date, and long talks on the phone. All before we had even kissed (see: 'The Beginning' for details). May 24: My marriage of 14 years to Merryll finally ended. After having taken care of her for that 14 years, a PH D psychologist helped us get her on SSI mental disability benefits in 1998, just before running off with the money and the kids with help of her devious Sister, who then took advantage of her. Even with suffering these losses, that was one of the best thing that could have happened to me. 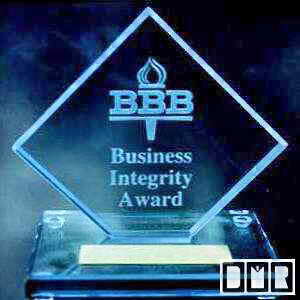 March: DMR was awarder the Better Business Bureau's Integrity Award as a Finalist for the year 1997. I began to compete in the No-clog Gutter market with a product that is better installed, looks better, is functionally superior, and is also about half the price of the competition (see our 'Comparrison' web page for details). I upgraded my work car from an 84 Honda Civic S, to an 88 Acura Legend L 4 door sedan. 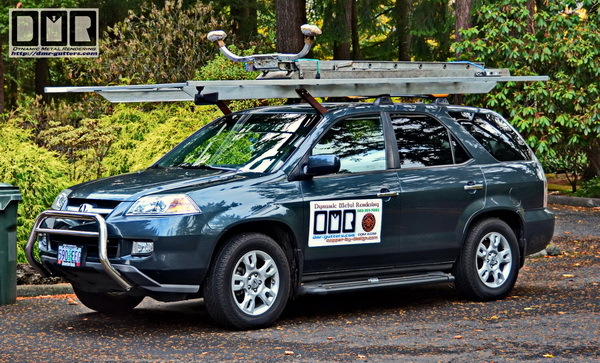 Have you seen this car around Town over the last few years? We have a most unique gutter truck, that now has over 229k mile on the original engine. We feel it is more user-friendly, functional, drives better, and saves more gas than a domestic full size truck or van! It may be unorthodox, but since people can clearly see that we could afford a truck or van, they are able to see that there may be reasons this works better for us, and see that perhaps I am a sharp cookie. I would like to convert a new Acura TL w/an onboard navigation computer for this same work, but finances has not yet permitted. 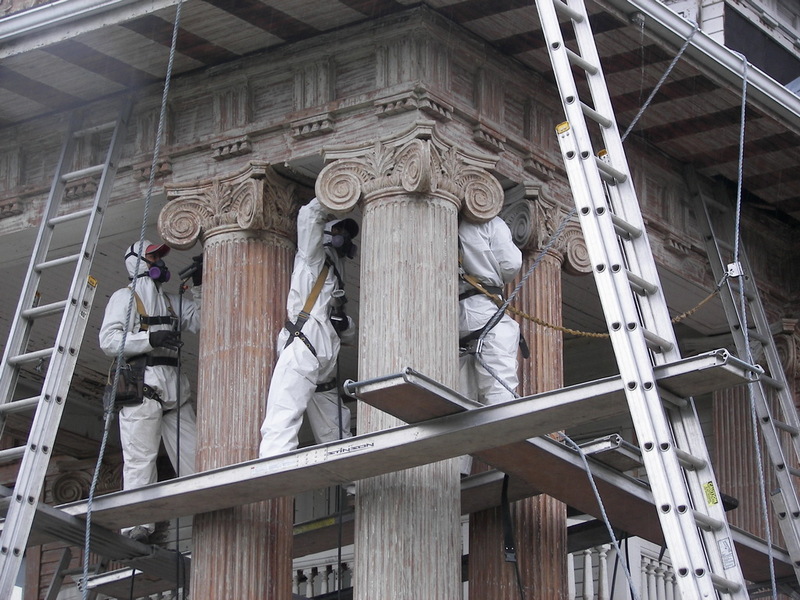 This is in front of one of the 9 LDS chapels we did gutters work on. 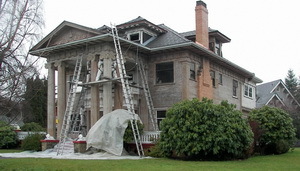 I acquired the expensive roofing liability insurance to do high quality roofing. Unfortunately, too few Home-owners were serious enough about quality over price, and being such a small company that is not so quick and able to do the volume required to afford the extra cost, the insurance was far too costly to continue, so I dropped it in 98. However, we have published some good advice about roofing on our 'Roofing' web page, so you can be a better informed consumer, and there for have a much better idea what to ask for from a roofing contractor. This should help you weed out the disreputable contractors. I had our room-mate help us set-up and published this business web site on the Internet, well before it was common for small businesses to have a web site presence. We seemed to maintain the record of having the most comprehensive web site on gutters in the world. Even the largest franchise gutter company web sites pail in comparison to this day. 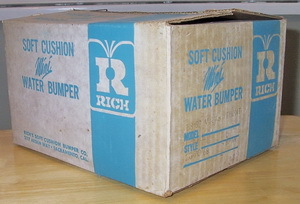 I helped inspire my Grandfather John Rich to attempt to redesign a lighter safety bumper than his Rich's Water Bumper they developed back in 1970. He came up with a replaceable honeycomb card board cell that is dipped in a resin to absorb the energy of an impact without the recoil effect. 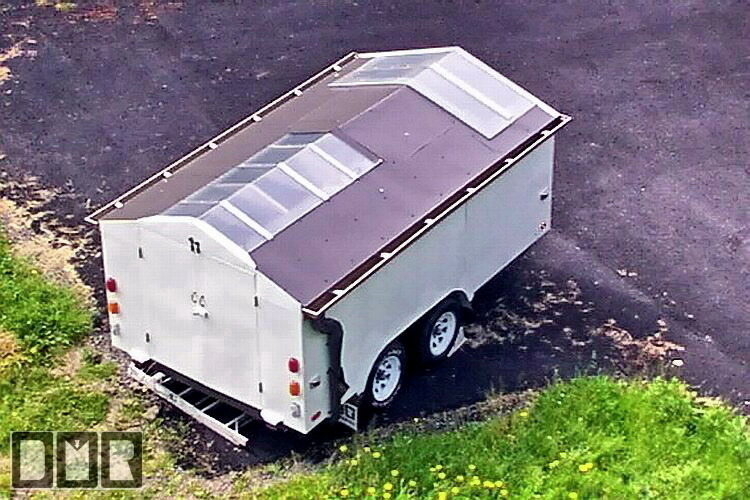 I solidified my specialty by getting my own roll-forming gutter machine at the cost of $10k+, along with the cost and time to set up the 5' x 10' custom covered trailer for the gutter machine. July: I filed for my specialty construction contractors license through the CCB in Salem Oregon; CCB #92250, and got the required liability insurance and bond. March: We moved into a house we shared with a male friend of mine from the Star Trek fan group. He was helpful to watch over Merryll and the kids. February 14: We had our second child, another girl, named Ceair Carry Despra Talea Rich (see our family pages). 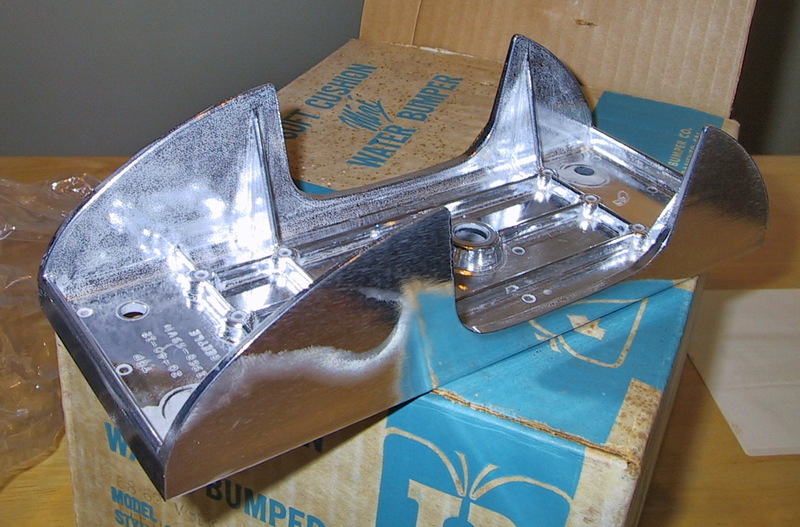 I decided to specialize in sheet metal gutter fabrication while with Contractors Construction. Primarily rain-gutter replacement. Even though I would not have my own gutter machine for a couple more years. 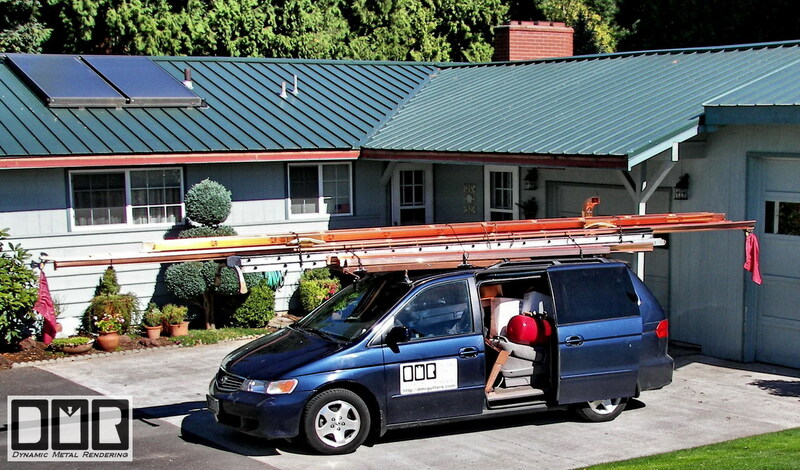 I would purchase continuous gutter lengths as much as 61' long, and carefully transport them to the job sites. Over the next decade, I would continue to hold the record of successfully transporting the longest gutters in town and have not been pulled over for a related traffic violation yet. I also have managed to safely transport over 99% of those long gutters. With this experience, I continue to deliver these long gutters to the job sites, instead of pulling the gutter machine trailer out there, as long as the gutters are less than 40' long or so. I have only needed to bring the gutter machine with me less than one in 5 jobs. especially when gutters are not suppose to be installed in lengths longer than 50' or so. Especially if it has a corner on the ends of it, since the expansion and contraction is different than the wood structure. I go to extra trouble to install expansion joints in these long gutter sets. 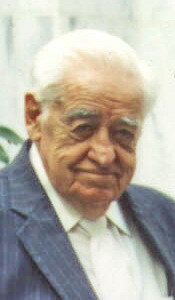 My Father Bill Rich was now selling over the counter health supplements. The core of his program is MSM, which is a digestible sulfur found in DMSO, without the harsh solvents that are not helpful and leave that bad after taste and smell. May 26: We had our second child; another girl we named Hope Lezly Rayzanna Alexandria Rich. April 19: Merryll and I had our first child; a baby girl we named Porsha Lea Crystal Rich. Merryll and I separated for a while but got back together, since I did not have the heart to send her back to where she came from. 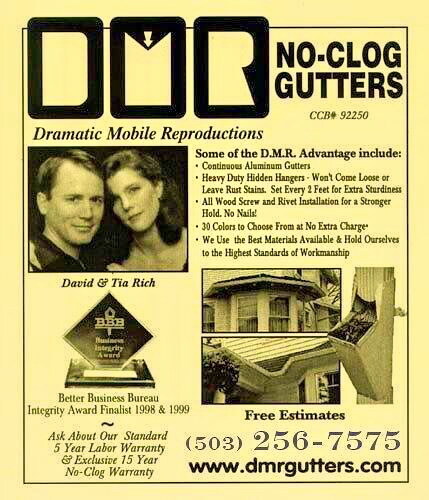 In the State of Oregon, I first registered Dramatic Mobile Reproduction as my dba, and designed the company logo (shown above) that we still use to this day. Over the course of the next 6 years, I tried to make a business in graphic arts, photography, Honda 600 auto repair, speaker design, and handyman type work, while being employed by others; Texaco, Round Table Pizza, Acura, Chevron, Fred Meyers, and Contactors Construction (not all at the same time). January: I met my first wife Merryll, and we later wed on June 24th. 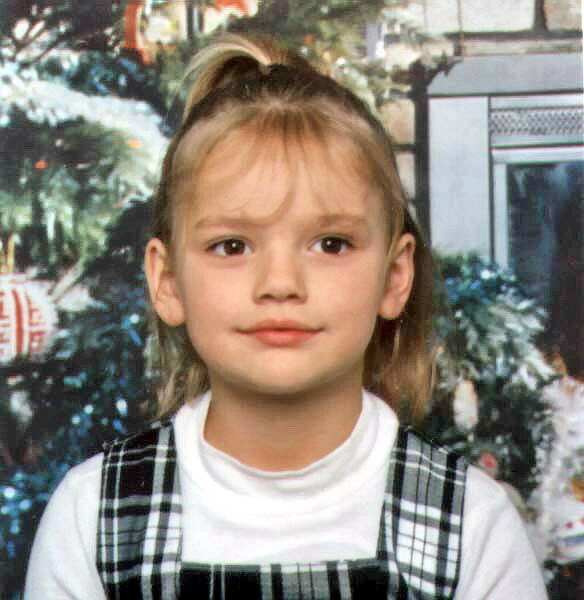 I did not realize at the time that she was mentally ill and prone to violence. I was talked into moving back to Oregon and working for my Father again. I had to leave this career, because of personal conflicts, violence and with-held wages by the boss, and since he owned all the tools, I was out of the auto repair business. I moved back to Utah. I decided to go back to Oregon for several reasons. One was the weather and the green foliage. But more importantly was the people here. I could no longer stomach the closed minded prudes who occupy that area. I was tested in School to have a 99% mechanical aptitude. The advisor said that this test was not set to be able to give a 100% score, so I had the highest score possible and the highest she had ever seen. It sounded like that was a more difficult area for most people. My wood shop Teacher there in Milwaukie High School could tell I was bored with School, and he told me that his job in the Army as a Sergeant was to help young men pass their GED. He said Math was the only hard part for most men, but since that was no challenge for me, I could pass it without even a pre-test. I tried it out on my 18th Birthday at the end of January, and passed it with ease. So right out of High School I got a job working in my Father's Auto shop called Rich's Repair, just to clean up after and assist the mechanics working there. I eventually got my driver's license, so I could go on parts runs to get the new parts needed by the other mechanics. I worked there for a year to become the 1971-72 Honda 600 car repair specialist, with all the 3 local Honda dealers sending clients directly to me, because of my good reputation for honest and excellent work (and the fact that they no longer wanted to service those older cars). I moved back to Utah for my Junior year because they did not have a good commercial art program in Washington/Monroe High School for the School District my Father lived in. I was really into art, and figured if I was going to do it for a living, I need to be able to make money at it. It wasn't until a few years later when I learned I would need to loose my soul to work in that type of occupation. It is not far above a Lawyer. I managed to score a job at the one theater that had exclusive rights there in Salt Lake City Utah for the sequel to Star Wars. I also managed to contract with the manager to make a life-size Darth Vader for the promotions of Empire Strikes Back. 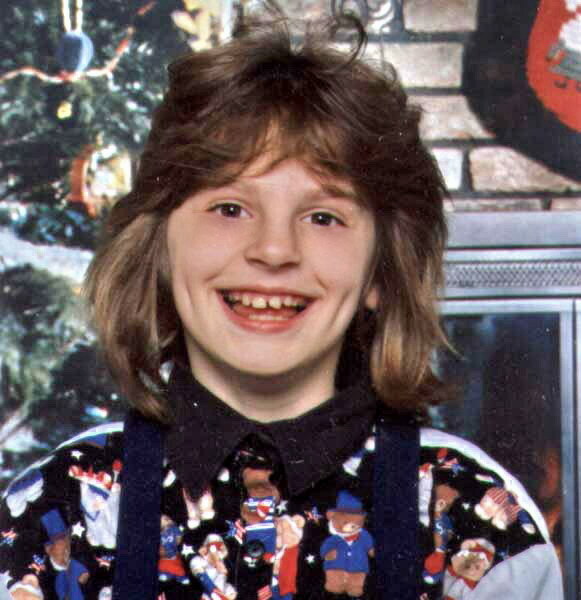 I moved to Oregon to live with my Father, again trading places with my older Brother John. It was my Sophomore year in High School. At 14 I got a worker's permit and a food handler's card to get a job at the Herfy's on 14th and Sandy. Later to be sold over to Arctic Circle. When I got my first pay check of $50, my friend from art class begged me to invest it in his business. He said he could double my money in a week. I offered him better terms of a 50% increase and 2 weeks to pay it back, but he had to give me his $80 skate board he had just bought (from stolen money from is Father's safe, I later learned). Needless to say, I kept his skate board. He had smoked away all his profit. <LOL> We are still friends to this day. My Father was working at Sandy Boulevard Dodge as a mechanic. My Grandfather was developing a fire safety escape device for high rise buildings, and had me on Cannel 2 News scaling down the Fire Department's concrete fire practice building at 12th and Powell to demonstrate this device, so we had a safety net below me. He was inspired by the terrible fire in a large Hotel in Las Vegas, where the fire escapes were all locked to help prevent thefts, and a lot of people died in that fire. My Grandfather John Rich and Father helped launch Zee Medical First-Aid distribution. My Father also sold the first microwave ovens under the name Magic Chef. Parent figures separated when I was just turning 12 and we moved into a Motel since the house we were renting was being demolished to put in track homes. 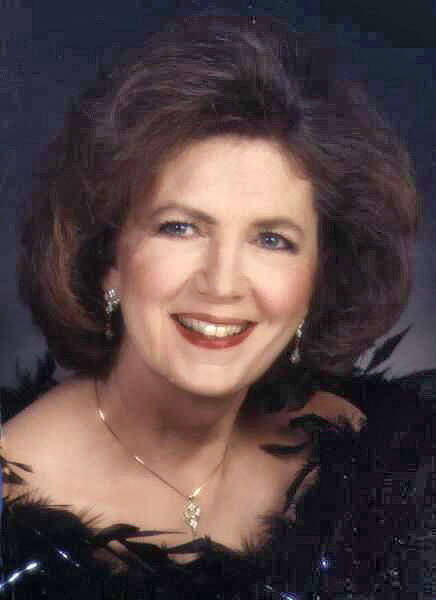 I began my entrepreneurial career selling greeting cards door-to-door. My Grandfather also paid us a penny for each door knob hanger we distributed to promote his baby feeder he called the Moon-spoon. It was a small squeezable plastic container that had a hollow tube with a spoon at the end molded into the lid. You put baby food in it and squeeze the food directly into the spoon for easy feeding and less mess. My Father was running a Texaco gas station in Layton Utah to use the work bays for auto repair. He paid my older Brother John and me a dollar a day to pump gas. We took turns. That was back when a gallon of gas was only 25 to 35 cents. In third grade I discovered I had a talent in art. The water bumper business was shut down by the government, since it interfered with big business, when the sales of new repair part for vehicles was hurt by the bumper sales. My Grand Father was involved in designing TV chairs that you saw in airports and bus terminals. I have a scar in my left eye brow from goofing around in one of the hair-dryer TV chairs he made. It had a speaker built up inside the noisy hot air bell hood. 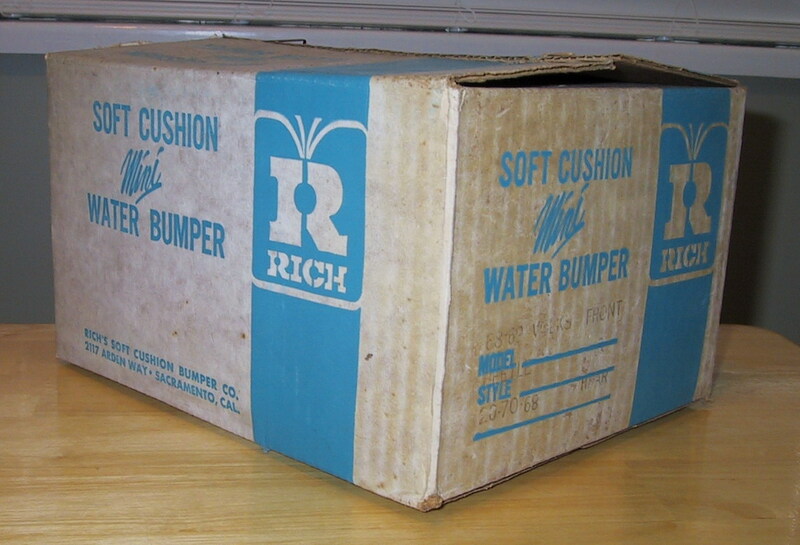 Back in the late 60's when I was just a kid my Grandfather; John Rich, with my Father; William, and his other Son; Milton had developed and marketed the Rich Water Safety Bumpers for cars, buses, and trucks. They had managed to sell them here in Portland, Oregon for use on all Police vehicles, and the Metro bus lines. Insurance companies were offering Drivers a 20% discount for those who had this safety bumper installed. 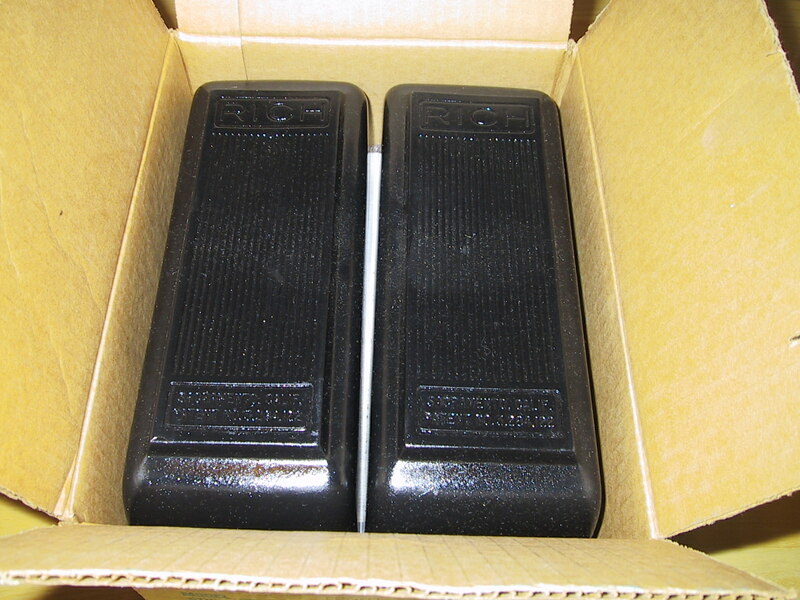 He was the first to develop a molding process to make these large hollow rubber cells. It was to be filled with just common tap water for an inexpensive hydraulic function, which is an important detail to reduce the force of recoil from an impact. We then moved to Sacramento, California, and later to Utah, where they built a large factory in Salt Lake City. That is pretty much where I remember growing up. My Dad had a large house built in a nice neighborhood, with the Water Bumper business seeming to be a huge success. The hardest sales issue was how most cars at the time still had hard chrome plated metal bumpers, and this was a very different look on cars. If you think about it; the car manufacturers long before this had the technology to make a far superior bumper with less weight than our after-market add-on bumper. Think about how the wheels on cars need a 3 part system to continually take the weight of the car versus the impact of the bumpiest roads without any damage occurring. One part is the spring to gradually absorb the impact. The second is the shock absorber to resist the recoil effect of the spring, and the third is an inflated rubber cell to resist the abrasive road surface and other objects your car encounters. This sort of system could be easily implemented in the manufacturing process of a car in the front and back of your car where you are likely to have the highest speed impacts. The rubber cell alone would be able to deflect all of the low speed contacts you are likely to encounter with no more than a scuff mark, which is about 80% of the impact damage cars suffer. The spring would then help to handle impacts over 15 mph with the sock absorber to reduce the recoil force of the spring. Imagine what this would do for your insurance costs, and landfill issues with the elimination of most car shell repairs. 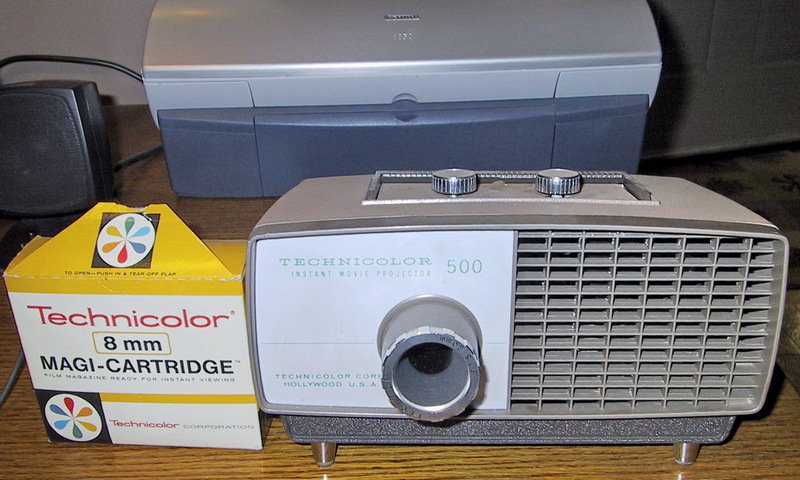 This video was digitally transferred from a very old promotional film that had been sent out to their franchise distributors around the Country. This film was around 45 years old, so it is a miracle it had survived this long intact. 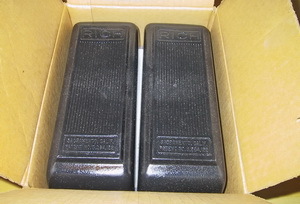 A relative of that distributor found this stored away, did some research, and contacted me to ask if I wanted this box of unsold bumpers and presentation materials as a keep-sake. Later they had garnered the attention of the major Auto Industry after it started to cut into their new parts sales. They then sicked their Lawyers on us to get this project shut down quick. To hell with saving lives and serious injury. Profits are all that matter to them. So, you must ask yourself: Why after over 45 years since my Grandfather's work on this project would all the major auto manufacturers still refuse to design this into their vehicles if it would save so much damage, countless injuries, and even the many lives? Especially when they know that 80% of all accidents happen on the city street and parking lots at under 20 mph point of impact. That means perhaps a good 75% of all accidents would result pretty much as damage or injury free. It would be more like playing bumper-cars out there, but now you so much a scratch another car and it's near road-rage hostility and stress. 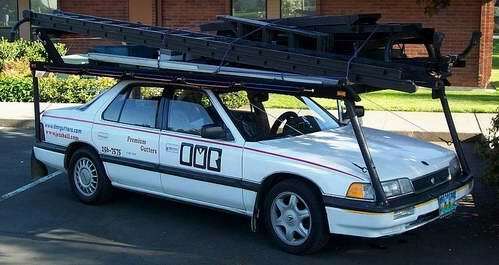 He could not work on such a level to incorporate his safety bumper into the frame, as this had to be just an after market product, so he had to go a different route to simplify it in the limited space and mounting possibilities, since people would not want to pay that much for an add-on part to their car. The hydraulic effect of just simple tap water in this rubber cell did the work of spring and shock absorber, like your cars suspension system, and could be simply bolted on with little difficulty on most cars back then. Now days they have made it far more difficult to do this with all the myriad of shapes and colors he would have to match. I have seen a films where they have a man sitting on the trunk of a car equipped with his water bumper, and have another car also with his water bumper mounted run into the parked car at 15 mph. Not only was there no discernible damage, but the volunteer had his legs between those two cars and did not hardly suffer much bruising. One volunteer even got the confidence to place his head between the two cars with a 10 mph impact, and again suffered no injury. At that time he also developed the 15' deep freeway divider safety barriers under the same sort of principals, which fortunately for us is still being made and placed around the world. Even if my Grandfather was not able to profit from that we all can benefit form his research. Over a decades latter, I heard on the local news where a drunk driver had hit one of these dividers head-on at an estimated 70 mph, and was able to get out of the car and walk. The car was seriously damaged, but keep in mind that hitting a solid object at 20 mph is considered fatal. Keep in mind this was before air bags had been put in cars. Sadly his business was shut down, because his invention was cutting into sales of car repair parts. He did not have the clout to fight those largest auto manufacuters at the time, and so his project was squashed. 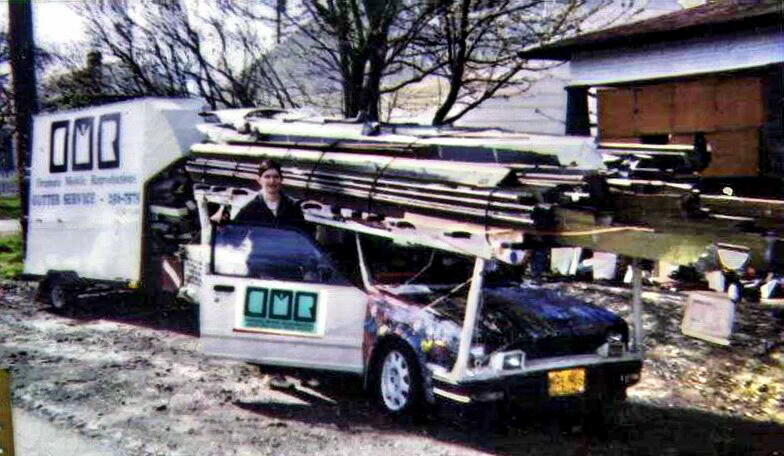 In the 90s I had inspired him to try to develop a lighter weight safety bumper. He worked on a honey comb resin material to use in place of the water which could absorb the impact without recoil. Just requiring the cartridge to be replaced. 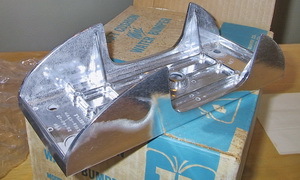 He worked on it for several years just before his death, and had made quite some progress, but metal bumpers in new car manufacturing had gone away and fitting the shape and color of hundreds of different bumper shapes would have been too complicated to manufacture and stock all the necessary parts. 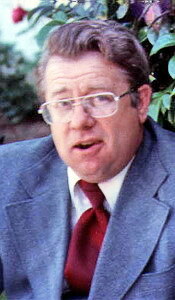 January 30: I was born in Sacramento, California to William and Carolyn Rich . My Grandfather John Rich had developed the Rich's Frozen Food program that is still active to this day, but he told me how he decided to walk away from it all, because of the stress it caused in dealing with the management teams bickering over how that company needed to be run. He had also redesigned the refrigerator/freezer to be side-by-side, to give it smaller doors to fit better in a small apartment kitchen. He was honored at a big company banquet just before he passed away. The original frozen bread dough was my Grandmother Edna's recipe. 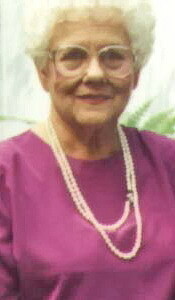 She is still alive today. "Quality and service is not expensive, it's priceless!"